Join the sugar skull craze in this Womens Day of the Dead Full Face Mask. As Day of the Dead reminds us, life is short, and no matter how good you look or how much you accumulate in life, you can’t take it with you––death is the great equalizer. Why not bring a little bit of that egalitarian spirit to the land of the living? 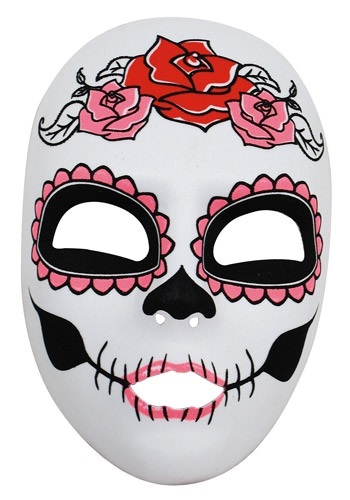 Celebrate Día de Muertos in this cool, feminine Catrina mask. This mask is a fun addition to Day of the Dead activities like making papel picado, decorating candy skulls, or picking out a loved one’s favorite food and items for an ofrenda. It looks great with all of our Day of the Dead costumes, or makes for a unique Catrina-inspired Halloween character all its own. Think Corpse Bride.